RAMALLAH, Dec 25 2015 (IPS) – Deep into the subtly monochrome landscape of the southern West Bank, Abu Ismaeel’s tent stands out amongst bare rolling hills that stretch into the horizon. A lonely gate, with no fence around it, signals the official entrance to two large tents in the Rashayda Desert. Rashayda is one of 53 communities working with Masar Ibrahim Al Khalil (Abraham’s Path), a Palestinian organization that promotes the West Bank section of a hiking route retracing Abraham’s footsteps across five countries in the Middle East. With the help of a World Bank grant, Masar Ibrahim has been developing a model of community-based tourism that sees remote and impoverished communities along the path, host and support local and foreign hikers. In the last year alone, hundreds of visitors from all over the world have woken up in Abu Ismaeel’s tent, to the sight of the sun rising from behind the hills of neighboring Jordan. Rashayda is in Area C, the 60 per cent of the West Bank under full Israeli control. Construction of permanent buildings is not allowed and neither is the upgrading of any infrastructure. Water is brought in by truck and pumped into the pre-fabricated bathrooms by a generator. So here foreign hikers not only get to experience legendary Palestinian hospitality but also bring in much needed income. George Rishmawi, Executive Director of Masar Ibrahim Al Khalil, explains that for overseas visitors, this trek is also a chance to discover natural beauty and get away from simplistic media representations of Palestine as a land of conflict or religious sites. “We create direct links between guests and hosts, we bring people close to our flora, fauna, our culture and traditions.” The path is clearly marked and maps or GPS routes are available. The various sections can be tackled Independently or with a guide, on single and multiple-day trips, while the full length requires 2 weeks to walk. In the West Bank, Rishmawi stresses, the path is very much unique for being the only route that unravels uninterrupted by checkpoints for 334Km, from Jenin in the north to the tomb of Abraham in Hebron. The largest chunk of it criss-crosses Area C where, Rishmawi told IPS, “if there were no illegal settlements and army bases, our work would be enhanced tenfold.” Still, to have a safe, uninterrupted path developed despite the invasive presence of Israel’s occupation apparatus, explains Rishmawi, has particular symbolic importance for Palestinians. Near Ramallah, another home-grown initiative seeks to reclaim Palestinian natural heritage, promote a culture of conservation and reinvigorate the increasingly tenuous link that many urban Palestinians have to Area C.
Mashajar Juthour, is an arboretum located on a hill outside Ramallah on the Thaer Al Ogde mountain. The project began two years ago, when Saleh Totah and Morgan Cooper poured their life savings into the purchase of the land. 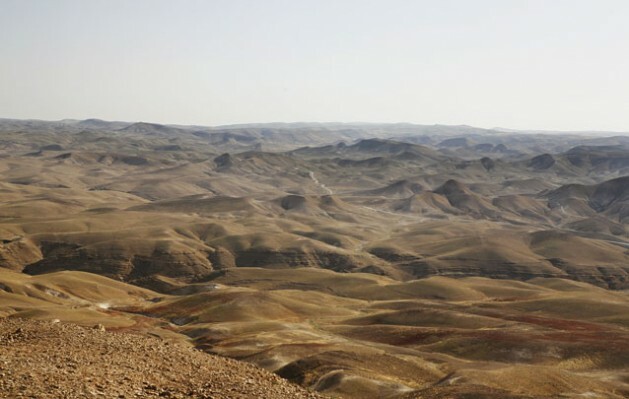 The 2.5 acres site hadn’t been tended for some 18 years and according to Israel’s interpretation of the Jordanian laws governing the area could have been eligible to be acquired as state land and set aside for new settlement construction. “It was really important to reclaim the space,” Cooper told IPS. Totah’s is one of the funding families of Ramallah and in buying the land, the couple wanted to return a piece of history to the very community whose ancestors had built the hill’s retaining stone-walls and terraces. Mashajar Juthour is an educational, cultural and environmental project “We want to get people from the community to come to the land, particularly families, because if children aren’t the ones that you teach to become stewards of the land you really have no future for protecting that land,” explained Cooper. Looking back on the past 2 years, the couple can list plenty of the setbacks but thanks to the support of private individuals and small grants, they are able to attract visitors through activities such as astrology night camps and workshops on stone wall building, grey water systems, beekeeping or tree planting. Cooper and Totah want to provide visitors coming to Area C with an experience of the land, and homeland, as a living entity that nurtures and needs nurturing rather than as a static ideal or a memory of something lost. 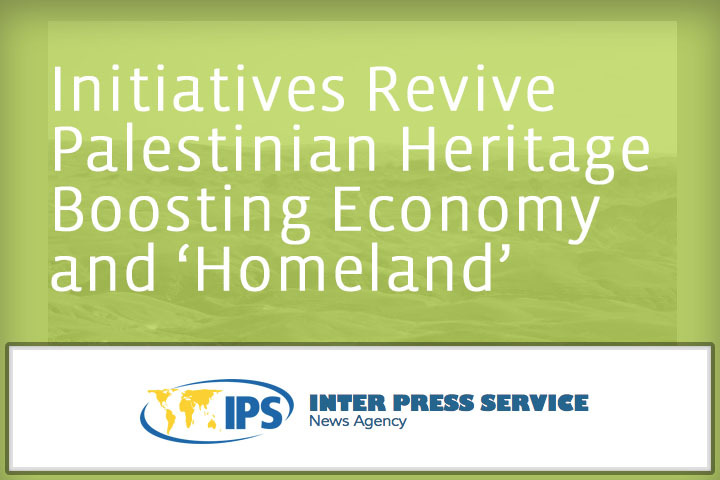 No Replies to "Initiatives Revive Palestinian Heritage Boosting Economy and ‘Homeland’"